Pupillometry should be performed under conditions as close to natural viewing as possible. 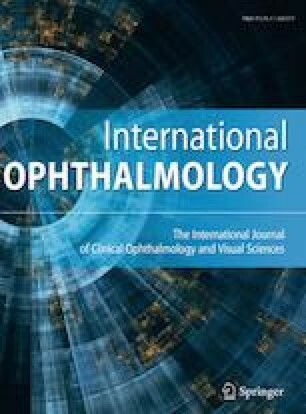 The present study aimed to determine whether pupil size in binocular open-view settings can be predicted based on pupil size measured using the CASIA2 device. The present study included 61 participants (25 men and 36 women; mean age, 49 ± 15 years; age range, 22–69 years) with no history of ophthalmic disease other than refractive errors and cataract. We measured pupil size using the new CASIA2 device and a binocular open-view digital pupillometer (FP-10000II, TMI Co., Ltd., Saitama). Intra-class and inter-class reliabilities were evaluated by measuring pupil times three times with each device (two independent examiners) in 21 of the 61 participants. Reproducibility was analyzed using intra-class and inter-class correlation coefficients (ICCs). Regression formulae for calculating FP10000II pupil size based on CASIA2 pupil size were developed via simple linear regression analyses. Both devices exhibited high ICC values (> 0.80). The regression formulae for calculating the FP10000II pupil size for the distant and near views based on CASIA2 pupil size were y = 0.5702x + 0.4611 (determination coefficient, 0.67) and y = 0.502x + 0.445 (determination coefficient, 0.64), respectively. Pupil size under binocular open-view settings can be predicted based on simultaneous measurement of pupil size during evaluation of the anterior segment using the CASIA2 device. The calculated pupil size may represent a useful index for determining the most appropriate treatment strategy in candidates for cataract and refractive surgery. All authors certify that they have no affiliations with or involvement in any organization or entity with any financial interest (such as honoraria; educational grants; participation in speakers’ bureaus; membership, employment, consultancies, stock ownership, or other equity interest; and expert testimony or patent-licensing arrangements) or non-financial interest (such as personal or professional relationships, affiliations, knowledge or beliefs) in the subject matter or materials discussed in this manuscript.